Ladbrokes Odds Boost is a special promotion available for all Ladbrokes customers. It does what it says on the tin: it boosts the odds on selected bets. All you need to take part is a current Ladbrokes account. For the duration of the promotion, and there is no indication that it will end in the foreseeable future, every Ladbrokes account holder will receive one odds boost token a day. To check that you have an odds boost token, log in to the ‘My Account’ area. If you have a valid token, it will appear there along with a brief explanation of which markets you can use it for. Unlike some similar offers, rather than choosing from a list of qualifying events, you can choose which bets to enhance the odds of as long as they are included in the qualifying markets. If you have a valid odds boost token, then when you create a betting slip in a market that qualifies for odds boost, you will see you have an option to use your odds boost token. If you do so, it will be applied to all selections on your betting slip. There are some restrictions. While there is no minimum stake or maximum odds restriction, the maximum stake that you can enhance the odds on is £50. For non-VIP members, if your betting slip exceeds that stake, then the boost will be applied to the first £50 only. If you are a VIP member, the maximum stake is £500. How much is Ladbrokes odds boost worth? Ladbrokes don’t state an actual value, and some punters report different amounts too. However, in our experience, it is usually around 6%, though that isn’t a fixed amount. While that might not seem that high, statistically it makes a difference especially if you use it on a regular or daily basis. There certainly isn’t anything sinister about the promotion. It is a genuine offer that, when used wisely, will boost your winnings over time. There are no clawbacks or limitations on liquidating your enhanced winnings. However, as we always do with any promotion, we strongly advise that you carefully read Ladbrokes terms and conditions. 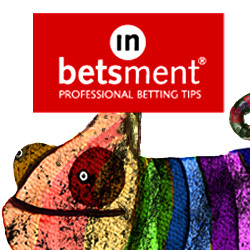 Be aware that you can’t use it with any free bets; it can be used with cash bets only. And it doesn’t apply if odds have been boosted by a different Ladbrokes promotion such as Price Boost and Super Price boost. Check out our number one recommended Sports Betting System here.